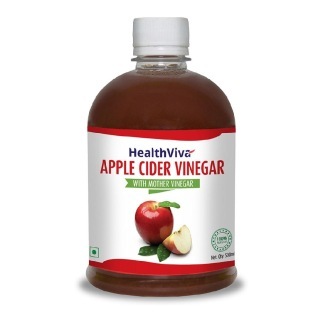 Naturally fermented with delicious Himalayan apples, HealthViva Apple Cider Vinegar is 100 percent pure and contains ‘Mother’, a cobweb like structure floating at the bottom of the vinegar that gives it dark brownish colour. 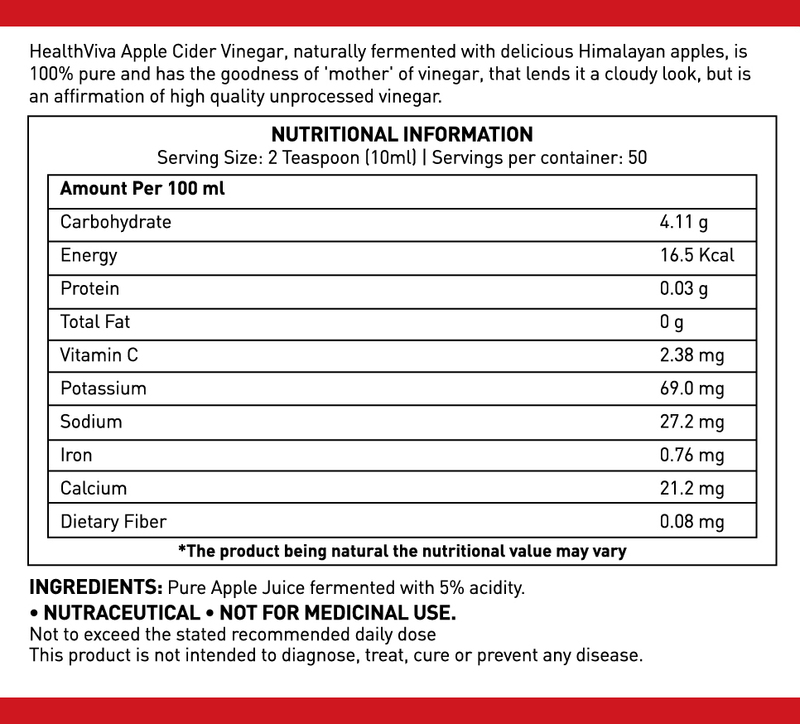 The presence of ‘Mother’ in apple cider vinegar is a proof of organic vinegar and is the reason for numerous health benefits. Diabetics can have this tonic before meal and at bedtime. It will reduce post meal and fasting blood glucose level for successful management of diabetes. Include Apple Cider Vinegar in your lifestyle to promote health and well-being. Serving Suggestion: Prepare a tonic of apple cider vinegar by mixing TWO teaspoons (10ml) of apple cider vinegar in a glass of warm water. Add honey to it for enhanced taste. Drink this tonic on an empty stomach. Diabetics can have it before meal and at bedtime. You can have this tonic before a heavy meal to keep acidity at bay. If u r fat don't worry about it. Start to take this daily morning & night u will reduce weight. My unwanted fats r vanished. I feel so happy not too late to know about it. I am using it in my face pack & hair pack. Within 2 weeks u will see the difference. In a month I have reduced 3 kg. Gonna have it regularly. Good product. Without fear u can take it. No side effects. Hi, I've been using Apple Cider Vinegar for quite sometime now. Undoubtedly, I've found benefits.most of the times, I was using Vit Shoppe or Bragg. I took a chance I decided to use ACV form India. This brand has worked as well as imported, costly ones. I certainly have switched over to ACV from Himalayan Apples. Would recommend the same to you. I have been using it regularly, I gave a feed back last month also. I find it very useful. It controls blood sugar, blood cholesterol, blood pressure and helps prevent cancer as well. Most of all it makes a wonderful health drink and delicious salads. I have ordered again which clearly says that its really a good product. I have gained metabolism and could lose 2 kg hence.